Now if you are searching for various secured loan options, one of the simplest loans to apply for is the logbook loan. This loan is secured against the value of a vehicle that you own. This can be a motor car, a motorbike, a truck, van or even a caravan. As long as it is in good condition, it has value and therefore can act as collateral when you take out a logbook loan. The best thing is that not only do you secure a loan, but you can still use your vehicle on a daily basis. How does this loan option work? Well, no doubt that your fully paid off motor vehicle is indeed an asset to you. But how do you use it to borrow money with a logbook loan? Well, it is simple really. We have done all the homework for you so if you intend to go with this loan option, you will know exactly how it works. There are a few important factors to consider first hand, however. Firstly, your vehicle must be fully paid off. There can be no outstanding finance on it at all. Secondly, you must be the legal owner of the vehicle. It cannot belong to your spouse, sibling, friend or colleague. If it does, they must apply for the logbook loan themselves. Thirdly, the vehicle cannot be older than 10 years. Many logbook loan providers however, will make exceptions with certain sports cars or older classic models. Lastly, you must have full and comprehensive insurance for the vehicle. This protects the credit provider in case the vehicle is stolen, in an accident or even damaged by extreme weather. Although these are the most important considerations, your vehicle needs to be in good condition and have a relatively low mileage as well. In other words, it has to have some value to it that can act as security for your loan. Bear in mind, if you default on your logbook loan repayments, the credit provider is lawfully allowed to repossess your vehicle and sell it to recoup any costs incurred. How does one apply for a logbook loan? The application process for a logbook loan is relatively simple. The first step is to have your vehicle assessed to see how much it is worth. This, together with your monthly income, helps to determine the amount that you will receive as a loan pay-out. The second step requires you to furnish the logbook loan provider with a number of documents. These include proof of address, bank statements for the past three months on your main account, wage slips from your employer for the past three months, documents that prove you have comprehensive insurance on the vehicle as well as your identity document. Generally, you can email these to the loan provider and they will do your application online. The approval can take as quick as a few hours and the money can be paid into your bank account within a day in most cases. Remember, that you will surrender your vehicle logbook to the loan provider for the duration of the loan as they are the legal owners of the vehicle until you have paid your last loan instalment. 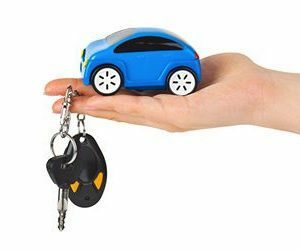 Logbook loans are certainly becoming one of the most popular secured loan options for individuals throughout the United Kingdom. There are a number of reasons for this. Let’s take a closer look. 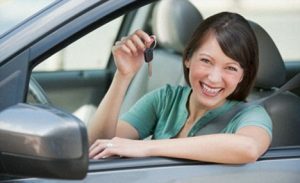 There is no denying that logbook loans are perhaps the easiest of the secured loan options to apply for. Most companies allow you to apply online, even to the point of giving you a ballpark figure for what they think your car is worth. All the necessary documents that they require can then easily be emailed to them without you even having to visit their offices. Many people throughout the United Kingdom are suffering from negative credit ratings. This then precludes them from a number of different credit options including personal loans, credit cards and even mobile phone contracts. When taking out a logbook loan, although your credit score will be checked – it has to be by law – it won’t stop you from being eligible for a loan. All the loan company is interested in is the vehicle you offer as well as a monthly repayment that will not put you under financial pressure. Once the loan company has all the documents that they require to process your loan, and have looked at and assessed your vehicle, it’s a matter of a few hours before you know if you have been approved for the loan or not (95% of all logbook loans are approved). Once approval has been given and you sign the contract, it takes about 24 hours before the money is paid into your account (in most cases). It can take longer on some occasions depending on the financial institution you bank with and them clearing the funds quick enough. Many residents of the United Kingdom are struggling financially, of this, there is no doubt. Times are hard and it is difficult to make it from one paycheck to the next. There are a number of factors for this but generally, a stagnant economy, driven by the worldwide financial crash of 2008 is the main culprit. The world’s economy is still struggling to right itself after that debacle. And then, in the middle of 2016, the United Kingdom voted to leave the European Union, another massive setback for the economy. Just look how the pound has devalued against a range of currencies in the few months since the result of the Brexit vote was announced. Tough economic times mean people who simply are making their way financially, turn to various credit products to try and help them make ends meet. And there are so many credit products to choose from. For the man in the street, they can be a little confusing. At Daily Loan Tips, we believe that if you want to take out some form of credit product, you should do you research first. 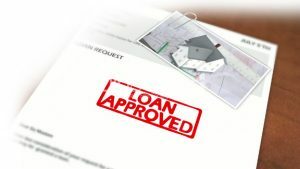 So in this article, we will be taking a look at secured loan options. What are they, how do they work and whether you should use them or not? Secured loans – an easy answer! In simple terms, a secured credit option is a loan given to the applicant in which they have to put up some asset as a form of collateral before the loan is approved. These assets can be anything that has value, from a vehicle to a house to a piece of jewellery. 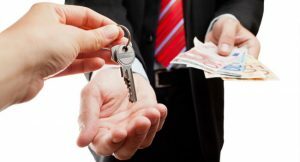 Often, the value of the collateral is based on how big a loan the applicant would like to secure. Why is this collateral necessary? Well, the credit provider wants to have something that they can then fall back on should the person forfeit on paying their monthly loan instalments. In other words, the collateral put up can be sold for the credit provider to recoup any loan amount as well as any costs they might have incurred. The ‘secured’ part of the loan – the collateral or security put up – is there simply to protect the credit provider given the loan to the applicant. Surely there are some advantages for people applying for a secured loan? Yes, there are quite a few. Let’s take a closer look. If you apply for a secured loan, you can be guaranteed a long repayment period. Often, other forms of loans are for a shorter period, say 12 months. With a secured loan, because you are taking out a rather large sum of money, you can rest assured that you will have a long period of time to pay it off. Depending on the amount and the collateral offered, your loan can be paid off between 1 to 5 years and even longer in some cases. What this means is that you will be paying lower instalment costs each month although interest added to the loan will also be higher. Because you are providing collateral when you take out the loan, you are able to borrow a fairly big sum of money, much more that you would be able to if you had taken out an unsecured loan. Of course, the amount is still very much dependent on your income and expenditure. After all, you have to be able to pay the monthly instalments easily enough! Applying for a secured loan is simple. This is because the credit company know that you are offering collateral and therefore they have something to fall back on if you should default on payments. 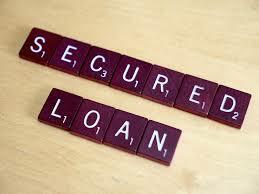 A secured loan is far easier to obtain than an unsecured loan. These are just some of the numerous advantages of secured loans. But how does one apply for such a loan? 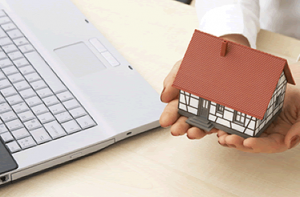 Applying for a secured loan is fairly simple. The best way is to find a few credit providers that have secure loan offerings. Don’t just jump at the first one you find. Once you have found three or four options, start to compare the loans to find the one that will suit your needs best. There are a few important factors that you should look at that will aid you in your decision. Perhaps the most important of these are the interest rates you will be charged when you take out the loan. This has a massive part to play in the final loan amount and will affect monthly repayments. Then you need to see how long you will have to pay the loan off. A shorter period means higher instalments, something that is important to remember. Finally, check with the credit provider what procedures they follow if you should default on a payment. Do they immediately claim your collateral? This is very important as some companies will give you a chance to get back on track, while other unscrupulous lenders will just claim your collateral at the first missed payment. And there you have it, all you need to know about secured loans. No doubt, when you need a large sum of money in a hurry, a secured loan is simply your best option.